We are a Texas licensed and approved inspection company. 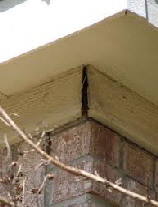 Soil conditions can cause alarming movement to exterior walls. We looking for more than the obvious, analyze all components related to the foundation for our clients. 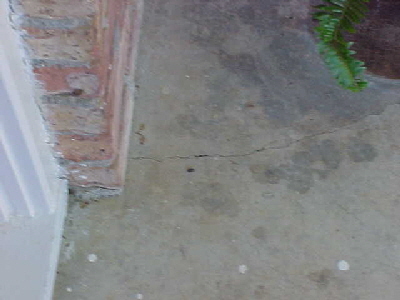 Cracks at porches can extend into the interior and through the slab causing ongoing problems and possible plumbing leaks in or under the slab. 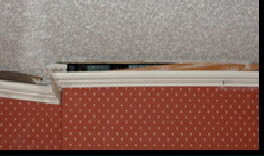 Interior ceiling crack extending 12 feet. 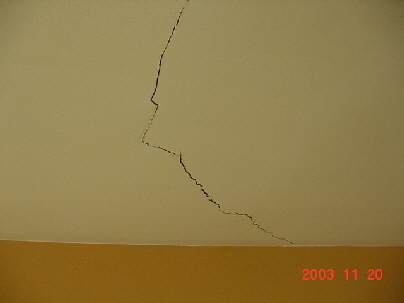 This crack indicated that the room was sloping to the right and to the back, the floor indicated that there was excessive settlement and later there was 8 piers installed for the buyer of the property, per our report. 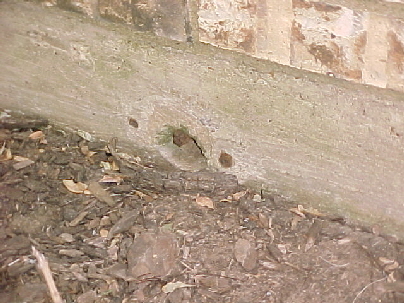 Open cable post and rusting cables can cause the foundation to crack in line with the cable. Sealing the cable port with mortar can help prevent cracking from rusting cables. Hot dry wind and intense heat will often cause the soil to shrink beneath the foundation. 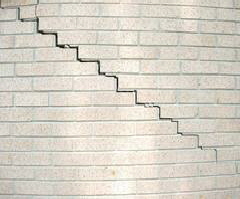 This settlement may cause cracks to appear throughout the structure. Tree roots may dessicate the soil beneath a home causing the soil to shrink and the home to settle. Improper drainage is a leading cause of foundation failure. Excess moisture will erode or consolidate soils and cause settlement. Inferior perimeter beams and insufficient steel in the concrete will contribute to movement in the slab. Soft, low density soils and/or improperly compacted soil beneath a home is the leading cause of foundation failure. 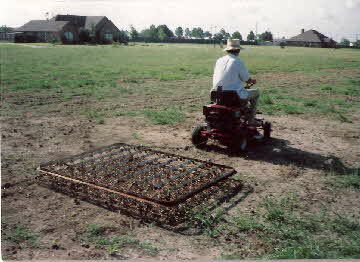 Cut and fill situations should be properly prepared before the soil is ready to support a structure. 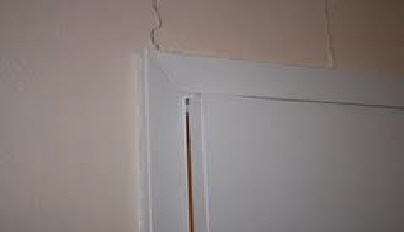 Doors that stick can be from foundation settlement and shifting. The home owner decided to get the lot ready for building himself.